Holiday Rush: Last-Minute Gifts Under $100! Say hello to the holiday rush: With only 5 days left to finish your shopping, retailers are making spirits extra bright with special deals, last-minute sales and free upgraded shipping to deliver by Christmas. So if you still have a long list to go, avoid the crowds and check out our roundup of the web’s best last-minute presents for under $100. We’ve combed all our favorite gift guides to bring you deals and steals on items that are a delight to give as they are to receive. Happy shopping! We can always count on Anthropologie to bring out our inner hostess, thanks to their darling, vintage-inspired kitchen accessories. These bright ceramic measuring cups (on sale for $15, order by tomorrow for Christmas delivery) are sure to spark a smile every time she whips up a batch of buttercream cupcakes. 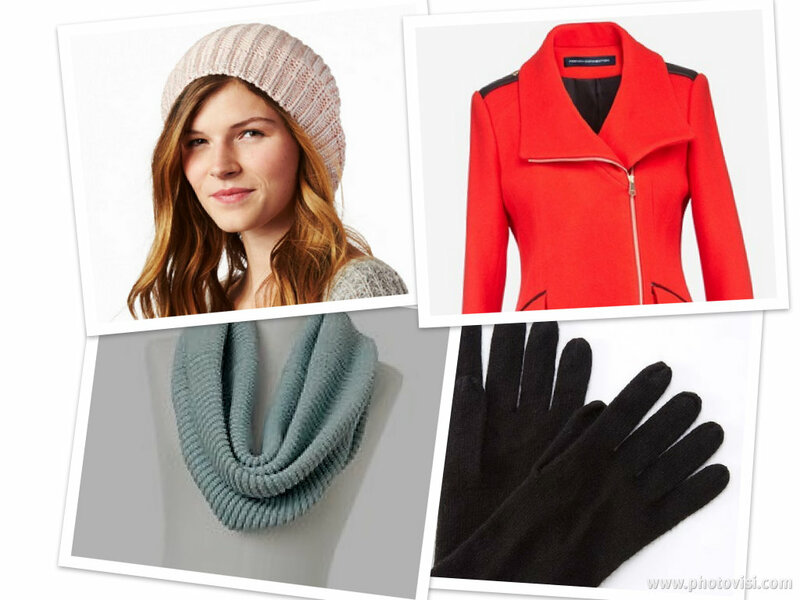 Ann Taylor puts a bright blue twist on leather driving gloves with this sweet bow-topped pair ($60, plus an extra 50% off all cold weather accessories & full-priced items with code GIFTANN), which we think would be perfect for your sophisticate friend. Equal parts masculine and refined, Coach’s classic IPhone case ($78, order by Saturday to receive by Christmas + free shipping over $150) is crafted of soft, supple leather that will keep his phone in tip-top condition. She’ll get her beauty sleep in style, thanks to J.Crew’s cozy vintage pajama set ($85, enjoy an extra 30% off with code CELEBRATE), spun of crisp men’s shirting cotton and designed to inspire sweet dreams. She’ll host a swanky soiree for the opening of an envelope and always keeps hors d’oeuvres on the ready in case there’s unexpected company. Give the seasoned hostess a chic cocktail tray, such as S2’s studded leather trays ($79 for 2 at One King’s Lane) to add a pop of panache to her next get-together. We think Kowlita’s bold typography prints ($21 on Fab.com; hurry, sale ends in 2 days!) is the perfect present for anyone who hearts NYC. Our favorite is the Nolita print, reminiscent of the days when we lived on the Bowery (sigh). The perfect accessory to add bite to drab winter outfits yet light enough to keep her cozy through spring, we’re wild for Banana Republic’s Lara zebra scarf ($50 + extra 30% off with code BRWINTER till Friday). He’ll be charmed with this cheeky wallet by Jack Spade (on sale for $62), crafted of fine-grain calfskin and designed to keep the modern bankroller’s cheddar (bones, clams, whatever) neatly tucked away. Finding great deals is so easy when I’m on Shopilly, I just go to my window shopping page and browse. To my pleasant surprise, right when I feel like Fall is getting underway, I’ve found some great deals on outerwear! Woohoo! The best deal I found was 50% off outerwear at Forever21. Get an uber trendy, light on the wallet coat to wear this winter and when the trend becomes faux pas in 6 months you can send it off to goodwill with no hard feelings! 30% off outerwear at Arden B. 30% off your entire purchase at Ann Taylor stores.